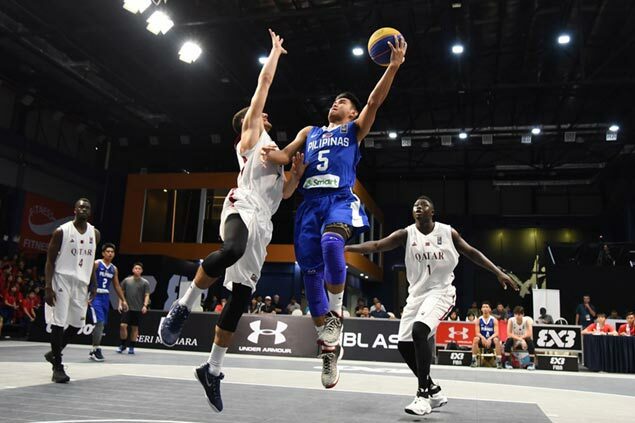 THE Philippines finished seventh place in the 2017 Fiba 3x3 U18 Asia Cup which ended on Sunday at the House of Champions, Gem-in Mall in Cyberjaya, Malaysia. The team of Rhayyan Amsali, Harvey Pagsanjan, Andrew Velasco, and Michael Malonzo lost their quarterfinal match to Qatar, 20-17, to settle for seventh place in the competition. The Philippine squad, seeded second in the competition, only won once in the preliminary round after winning over Kazakhstan, 18-13. They lost to Southeast Asian neighbor Malaysia, 21-17. China defeated Chinese Taipei, 17-12, in the championship, while Qatar captured third place with a 21-16 victory over Lebanon.